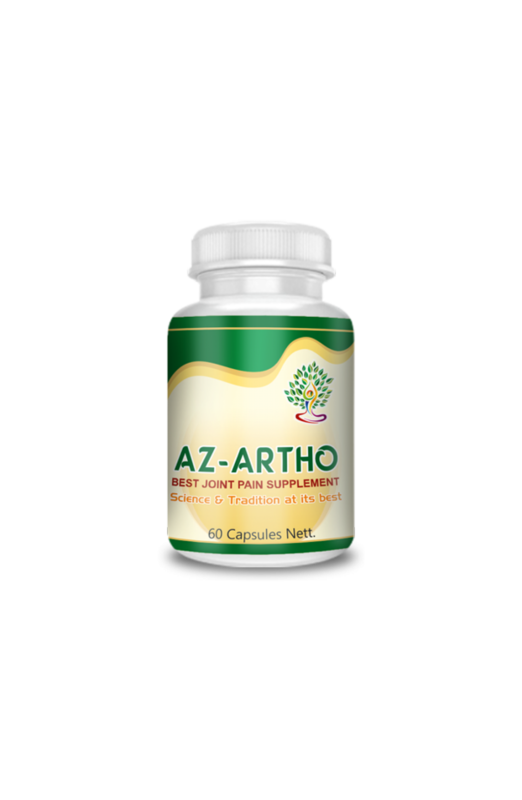 AZ-Artho is used in various types of joint disorders. It is a great rejuvenator, providing nutrition to the body. The benefits of these herbs are to normalize the excess Vata (air) in the body, resulting in free movement of the joints. They act as natural painkillers and anti-inflammatory, they promote natural healing and normalize all the humors (doshas) in the body. They are nutritious for muscles and highly praised for their soothing nature. These herbs are used in various types of joint disorders, they are great rejuvenators and provide nutrition to the body. They are digestive in nature and maintain the healthy state of the joints and the stability of the connective tissues. Ext. of Boswellia Serrata, Commiphora Mukul, Zingiber Officnalis, Curcuma Longa, Vitex Negundo, Nycium Thesarbor, Alium Sativum, Ricinus Communis, Sida Cordifolla and Carum Roxburghi.